Many artists, whether digital or traditional find much inspiration in music. It often serves as a great mind opener for large amounts of creativity and style to be ushered in. Some artists believe music helps them to see shapes and colors, and often offers up feelings and emotions to help them execute their work more proficiently. Which is why it’s best to try to listen to music that you know will get your mind going. Sometimes this inspiration becomes the work. Music based design projects can be extremely fun and creative projects. Whether you are dealing with a musical artist or a music studio, the possibilities can really be endless. Music is such a big, ever-evolving entity that sometimes it requires that extra bit of design work to take it to the next level. 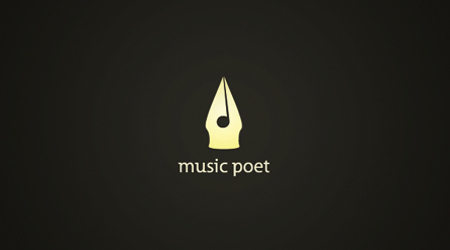 Today, we are sharing some of the best, creative and wonderfully designed logos that are musically inspired. We hope the next time you are on a music based design project, these logos help to inspire you to create something great. If not, turn on some even greater music! 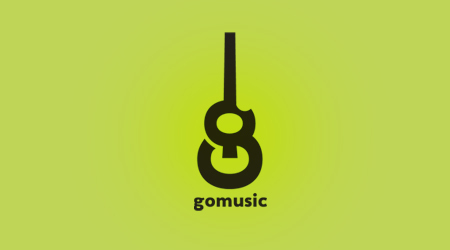 It’s easy to want to refer to ‘stop’ and ‘go’ when you have a company named ‘Go Music’, but what the designer did here was extremely clever and well executed. Simplicity is often key when designing a really good and strong logo–sometimes keeping your logo close to home really makes sense. Here, we have two iconic things associated with DJ’s, the vinyl record and headphones. 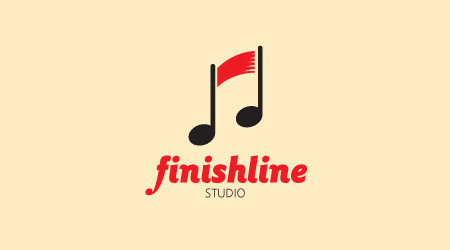 This logo was created for a podcast that dove heavily into music by offerring critiques and holding open discussions with their audience. The emphasis here was obviously on the music, as the staff and notes are extremely important here. 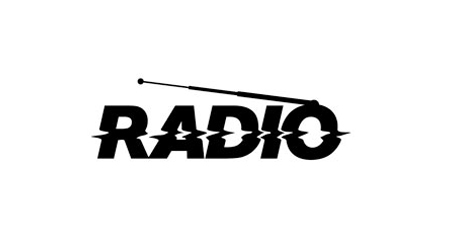 Another simple, ‘makes sense’ logo concept that really meshes two things you really think about (or see) when you think of radios. 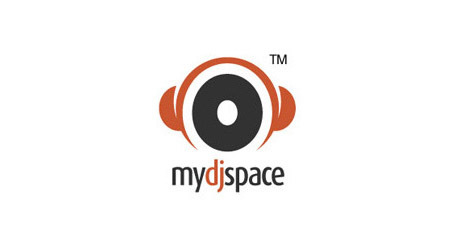 This is a very strong, easy to get logo. 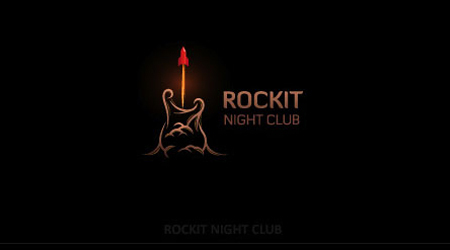 The great thing about this logo is it took two completely different topics (rock music and rockets) and seamlessly put them together. At first glance you see an overly decorated guitar, then you see a rocket launch, leaving lots of smoke behind. Very brilliant. 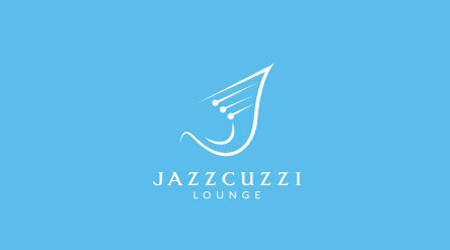 The reason this logo is so great is because it really captures the essence of what people believe jazz is; calm, smooth and relaxed. The designer chose to represent this by referencing some sort of beautiful horn. 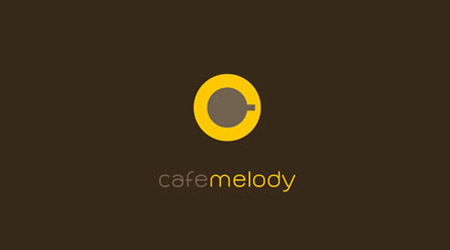 Another extremely clever logo design where the designer meshes two different concepts. The idea of the cafe with a coffee and plate is quickly noticed. However, the designer also see’s a volume knob, used to control the melody. One can also see a person with headphones on. Though a strong typographic logo, the designer squeezed in a note of musicality. Why not, when the guitar is one of the key things people associate with rock and roll music. 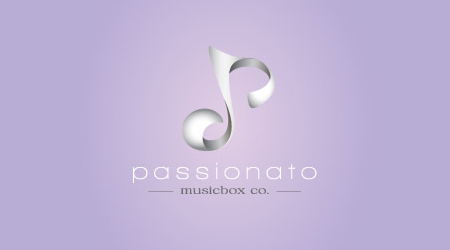 This is an extremely beautiful logo that uses a treble clef to serve as the beginnings of a swan. 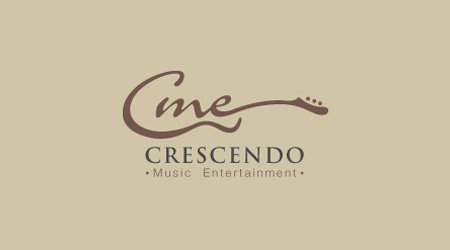 With this logo, many would assume the music or services offered here are extremely beautiful, elegant and tender. 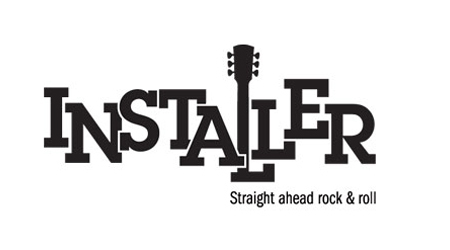 Again, while this logo is typographically strong, the musical reference cannot be missed. The headphones plugged into the word is a really simple yet effective way of saying this group is worth listening to. 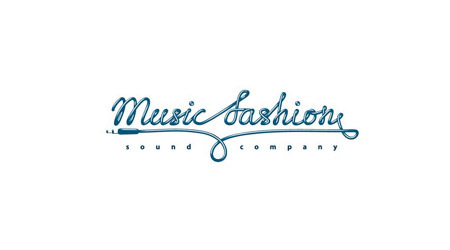 Much like the previous logo design that referenced piano keys, this designer realized the comparison between the ‘m’ and the piano keys. 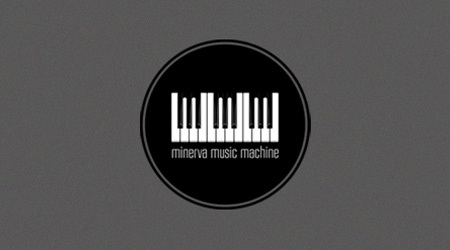 What stands out is how the longer white keys kind of adds that ‘machine’ like repetition to the logo. 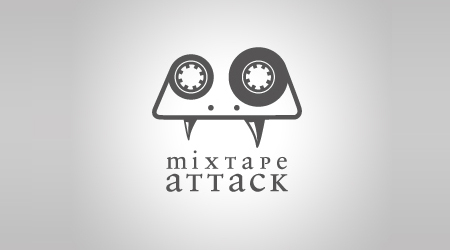 This is another extremely clever logo. 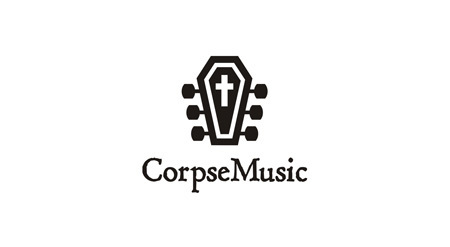 The great thing is that the designer recognized the coffin shape looks a lot like the head of a guitar, and used that to great effect. The designer here gets props for skillfully turning the company’s initials into a simplified guitar. Nice imaginative flair at play. At first glance you may see a pot with a big spoon in it, but if you happen to look closer, the concoction in the pot is really in the shape of the vinyl record. 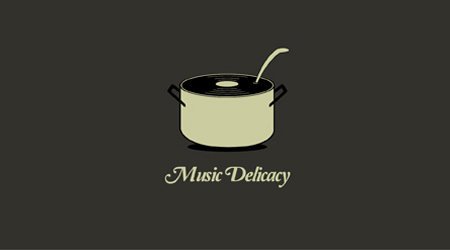 It really makes you believe you may have a chance to taste the music. This logo makes perfect sense, and will be easy to recognize. No need in fancying up a concept that doesn’t need it. This logo is absolutely beautiful. While it references the shape of a note, it creates this beautiful movement along the stem while the circle seems to represent the ‘sun.’ Really well executed work here. A part of making a great logo is knowing whether to focus on a piece of the concept or the whole concept. 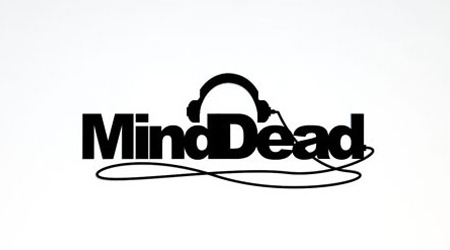 The designer here chose to focus on the ‘d’ and ‘b’ in this logo, transforming them into a pair of headphones. Not only do you think of smooth sophistication when you think of ‘jazz’ but you almost always think of saxophones. 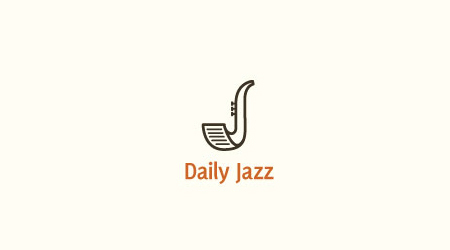 This designer found a way to marry the idea of jazz and paper (writing) to create this logo. 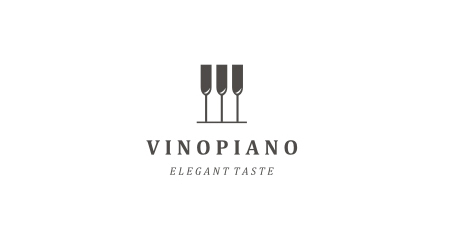 This is one of those logos where you may see one thing, such as three wine glasses, or you may see another thing, the black and white keys on the piano. This is another clever, simple and well executed design. 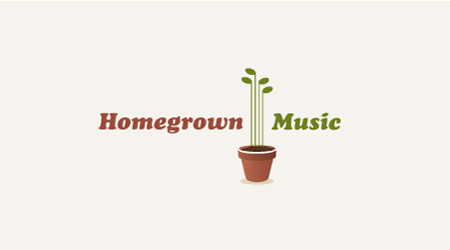 Though not exclusively about music, the designer snuck a bit of it in this logo design. 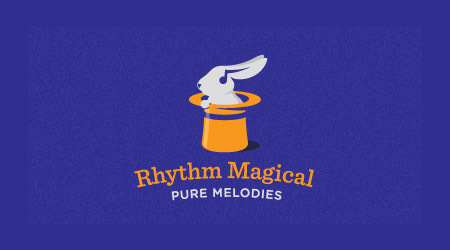 Yes, magic and rabbits in hats go hand in hand, but the designer threw in a music note that is concealed as the inside of the rabbits ear. It also could look a bit like the rabbit has on headphones; either way it’s a nice subtle addition. 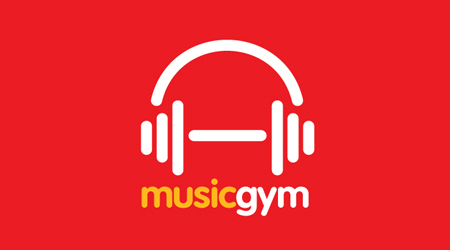 This logo, again, very simply refers to the music behind this company’s purpose. 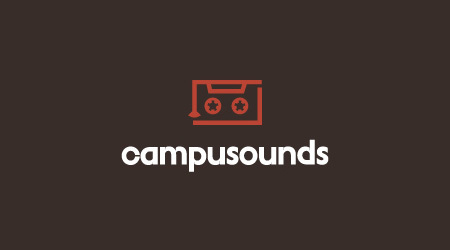 Campusounds is about hearing the music around different campuses, which is evident by the border which creates a bit of a ’round and round’ movement. While the focus on the logo again is typographic, it is overall greatly executed. The typeface used does remind you a bit of ‘fashion’ and the way everything is styled it actually makes you believe in the idea that one can fashion the sound of music. When you think of rock and roll, you think of this little ‘devil horn’ sign folks throw up at the concerts. 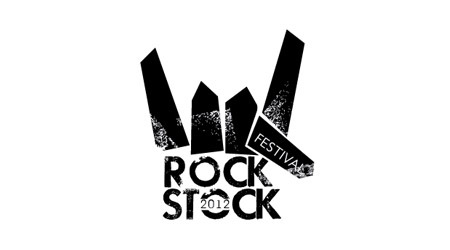 The great thing about this logo is that the fingers seem to double as rock. 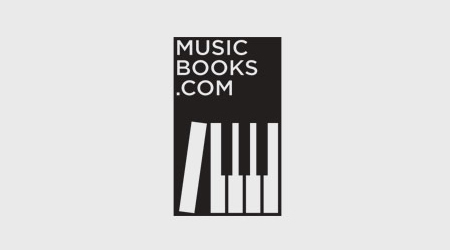 Here, we have a logo that, again, plays with the piano keys, but this time makes a great comparison between the keys and books on a shelf. 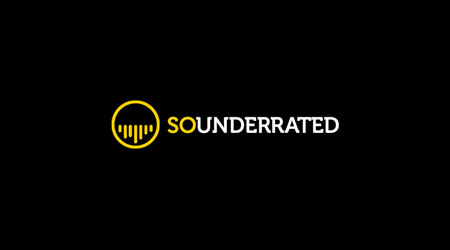 This logo is a bit of a play on words where you can see it saying ‘so underrated’. 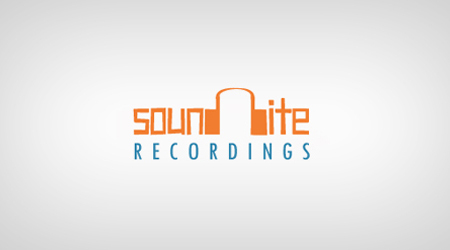 The logo captures that perfectly by having upside down sound waves. More typography play here and just a wonderful idea that makes sense. 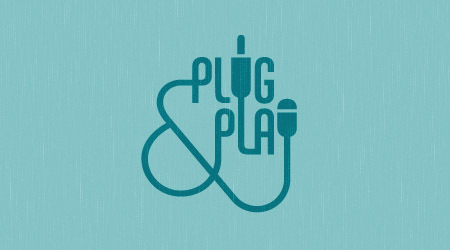 Everything is connected in some way much like the cords musicians use to plug in and play. This designer chose to play off notes, which is an easy task, but here they completed the look and purpose by making the bar look like that of a finishline. 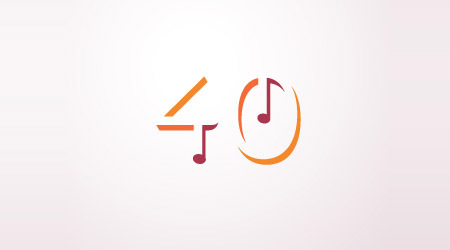 This designer should be commended on their eye, as they created the ’40’ out of shadows, but also completed this look by adding eighth notes to the shadows in places that really make it pop. This one make take a while to see but the piano keys actually make the longer part of a pencil (thus the triangle at the bottom). 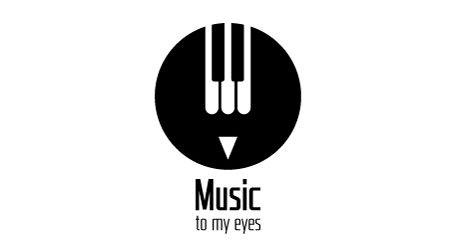 It makes sense with regards to writing music. Another rendition of a note, but the movement and elegance in this execution is extremely…passionate. Really beautiful logo. 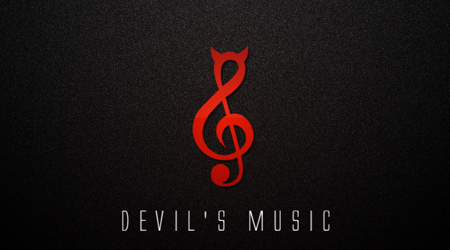 If there was no name on this logo, we’d all pretty much be able to figure out what it was called ‘Devil’s Music.’ Excellent finished product. 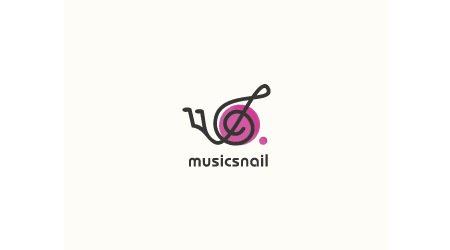 This designer used a treble clef and a double eighth note to help create the look of a snail. This simple yet clever execution is genius and extremely inspiring. 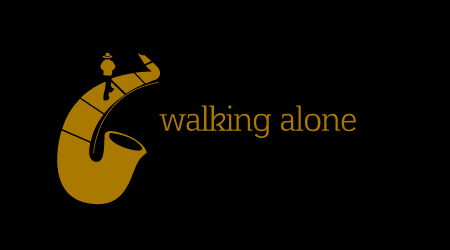 This simple logo takes the idea of walking on a sidewalk and creates a saxophone out of it. Again, this designers eye should definitely be commended. Simplicity is really key when you are doing logo design and this is one of the logos that just gets that and still makes perfect sense. The connection is clear, the message is clear and the finished product is excellent. It’s almost second nature to hear that a musical group wants a logo and to immediately want to fire up something that has musical notes or a treble clef in it. 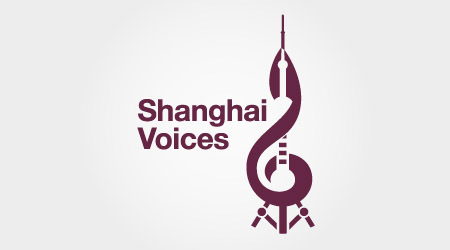 The best way to counter that is to revision it, and that’s exactly what this designer did by adding a silhouette of a famous building in Shanghai. The movement is great here, as well. This logo is a bit more like a graphic, but the execution is pretty awesome. It gives the sense that this duet, would have a nice acoustic guitar and a really folky or down to earth sound, judging by the design. Kendra Gaines is a young freelance designer for Norfolk, VA. Visit her online portfolio at www.TheGainesCollective.com and follow her on twitter @TheGainesColl. A real treat for all the virtuoso’s. 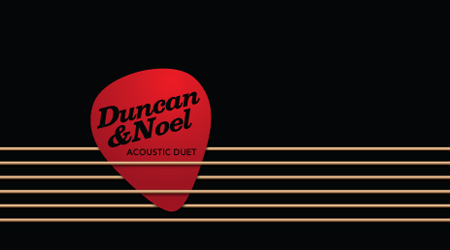 The number of possibilities to modify guitars and pianos is just endless!! 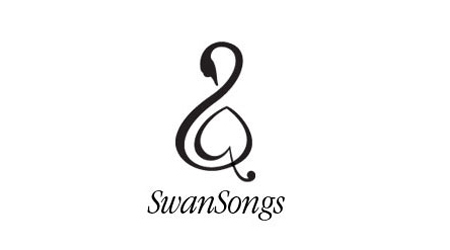 SwanSongs logo is THE BEST. I mean, seriously, pure inspiration! Very lovely collection. I’d love to create one but not many clients I deal with want me to spend the time to do so. 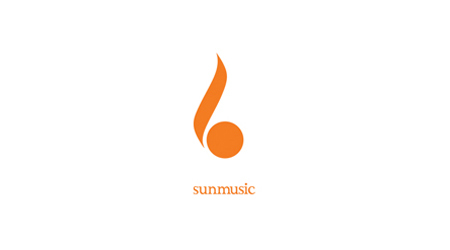 nice collection of inspiring music logos.